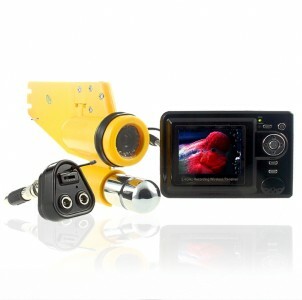 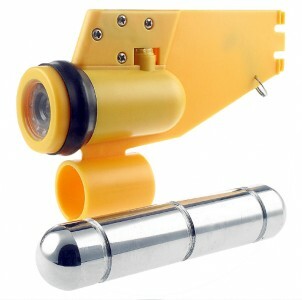 Underwater IR Camera for seeing exactly what is going on underwater, with a wireless adapter included for receiving and recording the signals directly to the included Wireless receiver. 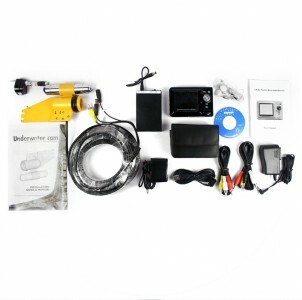 This is a great idea for fishers, swimmers plumbers, teachers and anyone else that wants a better appreciation of what is happening underwater. 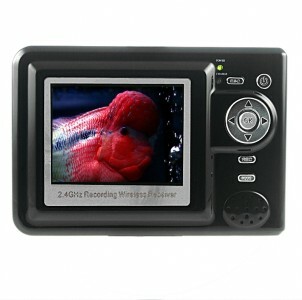 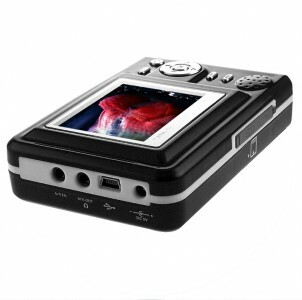 This waterproofed camera has a maximum water depth of up to an astounding 20 Meters, has an IR distance of 2 Meters, and with the insulated 20 Meter signal cable, all of your video will be sent with no breakup at all to the wireless transmitter at the top. 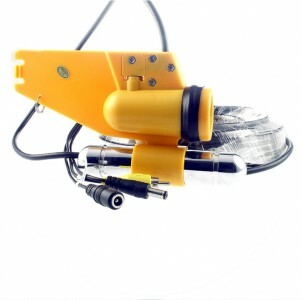 A great toy for hobbyists and water enthusiasts, this is a underwater gadget that you should not be without. 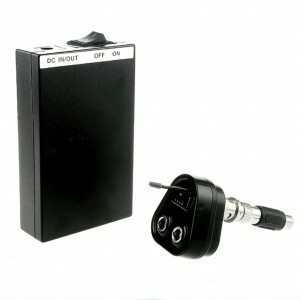 This product uses the PAL/NTSC color system.